Dr. Wessel grew up on a family owned farm, turned equestrian training center outside St. Louis, MO. While in undergraduate school , she managed the facility while training and teaching students, as well as, horses for the hunter/jumper show ring. Her free weekends were consumed with eventing up to preliminary level. This strengthened her interest in sport horses which led her to the University of Missouri College of Veterinary Medicine where she was awarded a scholarship for Equine Medicine Proficiency. Many externships led her to an internship at the University of Saskatchewan-Western College of Veterinary Medicine. There she spent time in an ambulatory practice working on large standardbred and thoroughbred breeding farms located in northern Canada. Upon completing her internship, Dr. Wessel worked in a mixed practice located in Warren County, NJ doing equine work as the practice allowed. An all equine practice was her goal, so in 1998 she founded Cross River Veterinary Services. Her other professional interests include emergency medicine, wound management, ophthalmology and preventative medicine. Free time for Dr. Wessel is spent with family, riding (one of 2 horses and a mule) and practicing pilates (so she can ride!). Dr. Eick grew up locally in Pennsylvania on her family’s horse farm and competed in barrel racing all over the east coast. Knowing at a young age that she wanted to work with horses, attended farrier school and began shoeing horses full time during the summers and weekends. 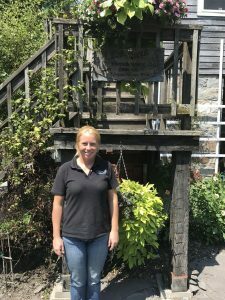 She received her bachelor’s degree at Delaware Valley College in 2009 and became interested in reproduction while working at a standardbred breeding farm. She then went on and graduated from Ross University School of Veterinary Medicine in St. Kitts, West Indies and completed her clinical year at the University of Minnesota College of Veterinary Medicine. She then went on to complete a one year rotating internship at Mid-Atlantic Equine Medical Center in Ringoes, NJ and then joined Cross River in June 2014. Her professional interests include reproduction, neonatology, lameness, and all aspects of equine medicine. In her free time she can be found riding her horse, watching her standardbred horse race, golfing, or running. 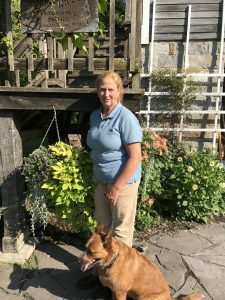 Dr. Kelly Corcoran is a Monroe County native and grew up riding her family’s Arabian horses in both breed and 4-H shows as well as limited distance competitions. She graduated from the University of Pennsylvania’s School of Veterinary Medicine after completing an undergraduate degree at The Pennsylvania State University. 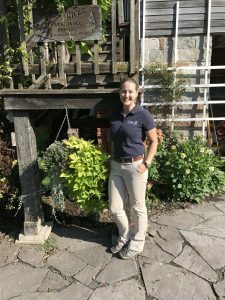 After vet school, Dr. Corcoran finished a year-long Field Care internship at Hagyard Equine Medical Institute in Lexington, KY. In addition, she is a FEI Permitted Treating Veterinarian. Her professional interests include equine reproduction and neonatology, emergency medicine, preventative care, and sports medicine. In her spare time, she likes riding, reading, cheering on her Penn State Nittany Lions, traveling, and hanging out with family and friends.